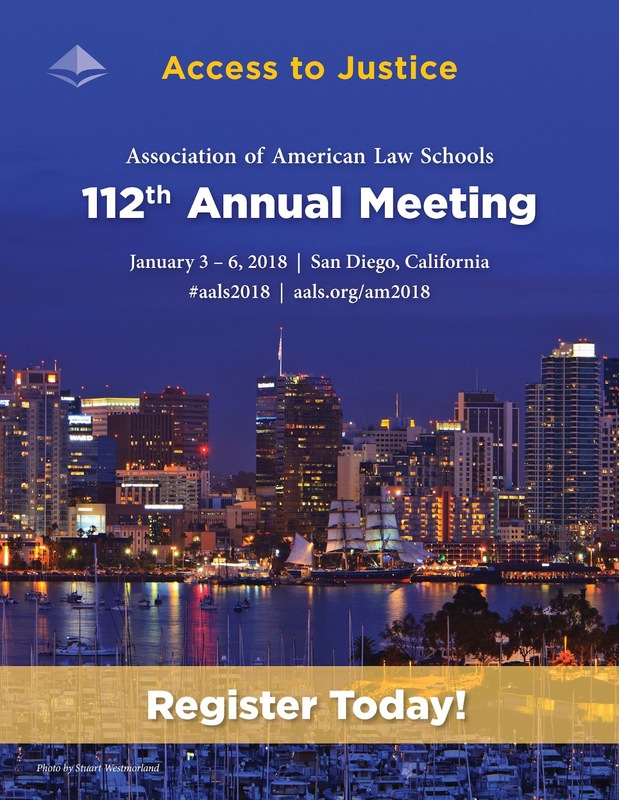 The AALS Section on Law, Medicine & Health Care will be holding a workshop session for junior scholars at the upcoming AALS annual meeting in San Diego, Jan 3-6, 2018. The AALS Section on Law, Medicine and Health Care is pleased to announce a Call for Papers for a special Works-in-Progress for New Law School Teachers Program. The Section will run the Program at the AALS 2017 Annual Meeting in San Francisco, on Saturday, January 6, 2018 at 3:30 � 5:15 pm. This program will bring together junior and senior health law scholars for a lively discussion of the junior scholars� works-in-progress. Junior health law scholars will submit papers that they expect to submit in the spring 2018 law review submission cycle. After they briefly present their papers in a concurrent roundtable setting, senior scholars will provide oral comments and critiques. This new program presents an opportunity for the audience to hear cutting edge health law scholarship by recent members of the academy. We will limit our selection to two to three papers. Eligible faculty members are invited to submit either manuscripts or abstracts dealing with any aspect of health law or policy. Abstracts should be comprehensive enough to allow the committee to meaningfully evaluate the aims and likely content of the papers proposed. Papers may be accepted for publication but must not be published prior to the Annual Meeting. The deadline for submission is September 29, 2017. 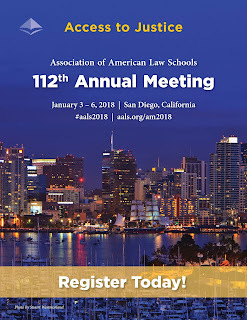 Papers will be selected after careful review and discussion by the Executive Board of the AALS Section on Law, Medicine, and Health Care. The authors of the selected papers will be notified by October 13, 2017 and listed by name and paper title in the official program. If a selected author has only submitted an abstract for review, the author must submit the corresponding manuscript by December 15, 2017. Full-time untenured faculty members of AALS member law schools are eligible to submit papers. The following are ineligible to submit: foreign and adjunct faculty members, graduate students who are not also enrolled in a qualifying J.D. program, fellows, non-law school faculty, and faculty at fee-paid non-member schools. Papers co-authored with a person ineligible to submit on their own may be submitted by the eligible co-author.